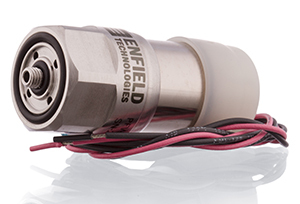 Enfield Technologies has been providing advanced automation control solutions since 1991. Their patented servo-pneumatic systems provide infinitely variable control of pneumatic devices such as air cylinders and pressure vessels. Enfield Technologies systems are the preferred choice of designers in industrial automation, product testing, and animatronics because our systems operate faster and smoother than alternative systems. 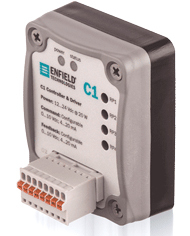 Enfield’s proportional valve controllers with integrated bi-directional valve drivers are designed to optimize the performance of the LS and Enfinity series valves for pressure, speed, temperature, force, flow and position control applications. 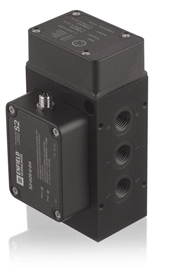 The S2 servo pneumatic positioning system combines together a proportional valve, sensors and embedded control electronics to linearly position cylinders and actuators, creating an air servoactuator that can be controlled from the PLC (Programmable Logic Controller). This electro positioner allows cylinders and actuators to stop at unlimited midstroke positions, follow complex profiles or simply prevents slamming at the ends. Clayton Controls is an Enfield Technologies distributor in California. We offer technical support to help our customers solve their applications.